In this delightful memoir, Jimmy R. Lewis does for the Ozarks what Garrison Keillor does for Lake Wobegon. Lewis has compiled an appealing and enduring love letter to Midwestern small town life of yesterday. 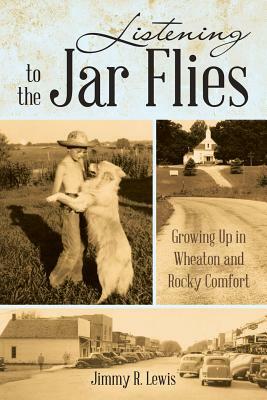 BlueInk Starred Review In his memoir of growing up in rural southwest Missouri, Jimmy R. Lewis uses local newspaper archives and childhood memories to bring a bygone era back to life. Missouri Historical Review Lewis is a talented storyteller. Reading these accounts is like being at a family reunion, hearing lively tales preferably told outdoors in late summer, with the...jar flies, or cicadas, buzzing in the trees... Clarion Review - Five Stars (out of five) Lewis paints, in alternating broad and fine strokes, a picture of a small segment of the rural United States through difficult and prosperous eras. He has an eye for satisfying detail, and he thoroughly catalogs a colorful cast of characters... Kirkus Reviews Wheaton and Rocky Comfort, Missouri, may have looked like two sleepy towns in the mid-twentieth century, but they were home to an aging former cowboy who bested Old West legend Tom Horn in a knife fight, a faith-healing preacher who sought converts as a four-foot bullsnake slithered around his shoulders, and an air force fighter pilot who narrowly averted firing a missile that could have started World War III. Author Jimmy R. Lewis presents these and many other stories that offer insight into a piece of rural America's history.